You can void a claim when a payer requests it (the claim is routed differently than with a normal deletion). On the Home menu, under Insurance, click (or tap) Unsent Claims. The Unsent Claims page opens. On the Home menu, under Insurance, click (or tap) Sent Claims. The Sent Claims page opens. On the Patient menu, under Insurance, click (or tap) Insurance Claims. The patient's Insurance Claims page opens. On the Patient menu, under General, click (or tap) Overview. The patient's Overview page opens. Click (or tap) the Ledger box. On the Patient menu, under Financial, click (or tap) Ledger. The patient's Ledger page opens. 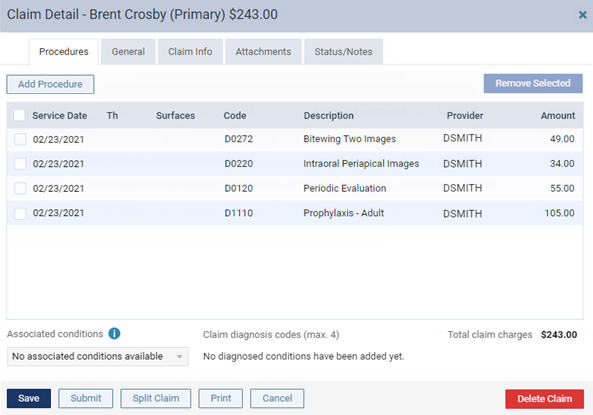 A patient's Insurance Claims page. 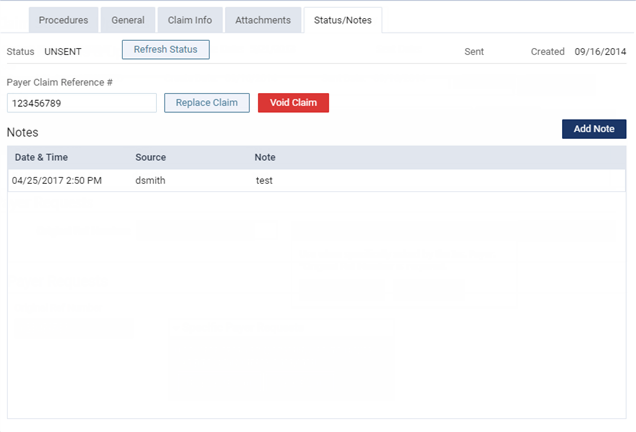 The Claim Detail dialog box appears. On the Status/History tab, locate the original reference number (it may be identified by a DCN) within the Note of a status history entry. Copy and paste or type the reference number (from step 2) into the Original Ref Number box. Under Specific Payer Requests, click (or tap) Void Claim.